Published posthumously in the early 1920's, Max Weber's Economy and Society has since become recognized as one of the greatest sociological treatises of the 20th century, as well as a foundational text of the modern sociological imagination. 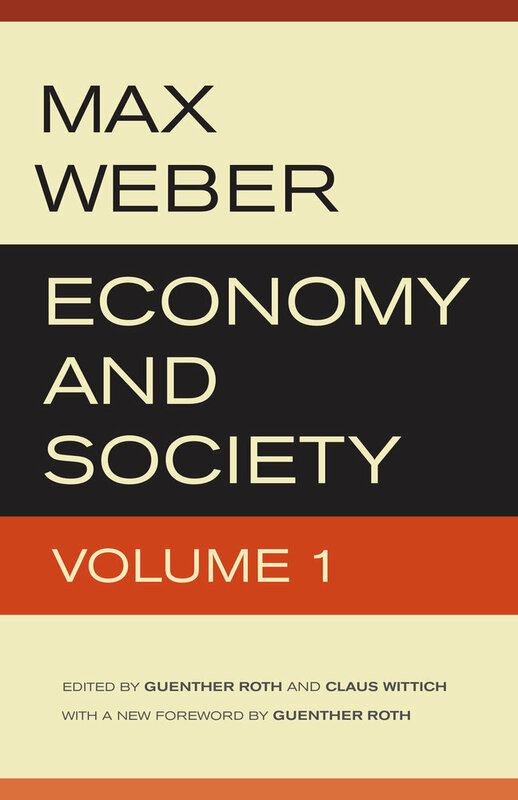 The first strictly empirical comparison of social structures and normative orders conducted in world-historical depth, this two volume set of Economy and Society—now with new introductory material contextualizing Weber’s work for 21st century audiences—looks at social action, religion, law, bureaucracy, charisma, the city, and the political community. Meant as a broad introduction for an educated general public, in its own way Economy and Society is the most demanding textbook yet written by a sociologist. The precision of its definitions, the complexity of its typologies, and the wealth of its historical content make the work an important challenge to our sociological thought: for the advanced undergraduate who gropes for her sense of society, for the graduate student who must develop his own analytical skills, and for the scholar who must match wits with Weber. Starting out as a professor of law and economics at a young age in Imperial Germany, Max Weber (1864-1920) had a brilliant career interrupted by illness, which ultimately freed him from academic constraints to create the great interdisciplinary body of work for which he is famous today. Transcending the German contemporary context, his writings have become, through a series of transatlantic transmissions, one of the foundation stones of American and international social science and indispensible reading in several disciplines. Central aspects of his oeuvre, foremost Economy and Society, remain of continued importance in the age of globalization and its counter-movements. Guenther Roth, born in Germany in 1931, began his American career in 1953, dealing extensively with Max Weber’s scholarly and political writings in their contemporary context and their impact on American social science. Since his retirement from Columbia University in 1997, he has written about Weber’s cosmopolitan family history and the tensions in his life between scholarship, politics and personal relations. Claus Wittich, born in Germany in 1932, was for many years a specialist for eastern European economies at US universities, then the United Nations in New York and Geneva. His recent work focuses on academic links between Germany and Russia from the 18th to the 20th century.